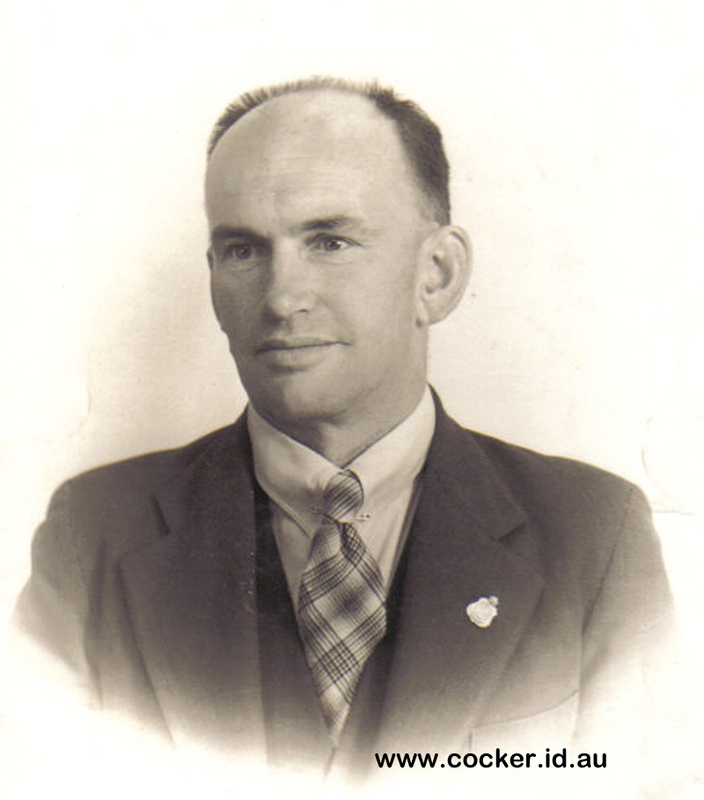 3-Percy Alexander Harvey was born on 29 Oct 1894 in Black Hills, Osmaston, Tasmania and died on 10 Aug 1938 in Launceston at age 43. He served in the First World War. 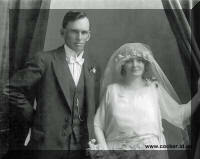 Percy married Lillie Isabel McHugh, daughter of John McHugh and Elizabeth May Young, on 27 Dec 1921 in Launceston. Lillie was born on 22 Jun 1893 in Ulverstone, Tasmania, died on 26 Jun 1974 in Launceston at age 81, and was buried on 28 Jun 1974 in Carr Villa, D1/258. 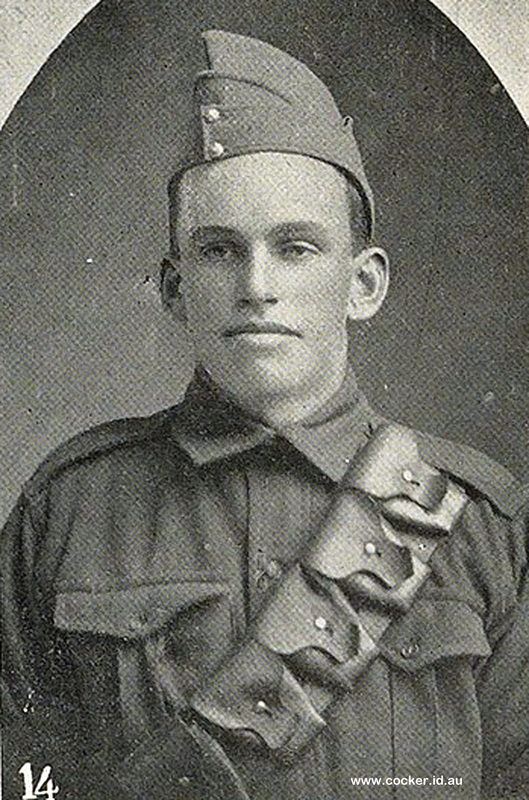 Percy joined up in the Third Light Horse in 1914 at the age of 19, and served four years and one month in Egypt. 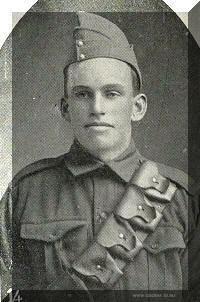 He was discharged in September 1918, after which he went back to the farm at West Kentish. Description on army papers — "Complexion: Fair; Hair: Dark Brown; Eyes: Grey; Height: 5 ft 11 inches." A further Certificate of Discharge is held showing that Staff-Major Percy Harvey had completed 91 days at a special school of instruction at Liverpool, concluding in January 1920. Despite his discharge papers being endorsed "medically unfit through illness contracted on active service" his widow, left with three school-age children when he died at the age of 43, from deep-seated pneumonia, was stead­fastly refused a service pension. To her great credit she 'made it alone' and saw all three daughters through five years of high school and then teachers' college training. After the war Percy, and Edith's fiancé Claude Priest, armed with motorbike and camera set up as travelling photographers in the Devonport area of the North-West. They would visit farm houses and offer to photograph the family lined up on the front verandah. It was during this time that Percy met and married Lillie McHugh, granddaughter of the co-founder of McHughs Pottery works in Launceston. 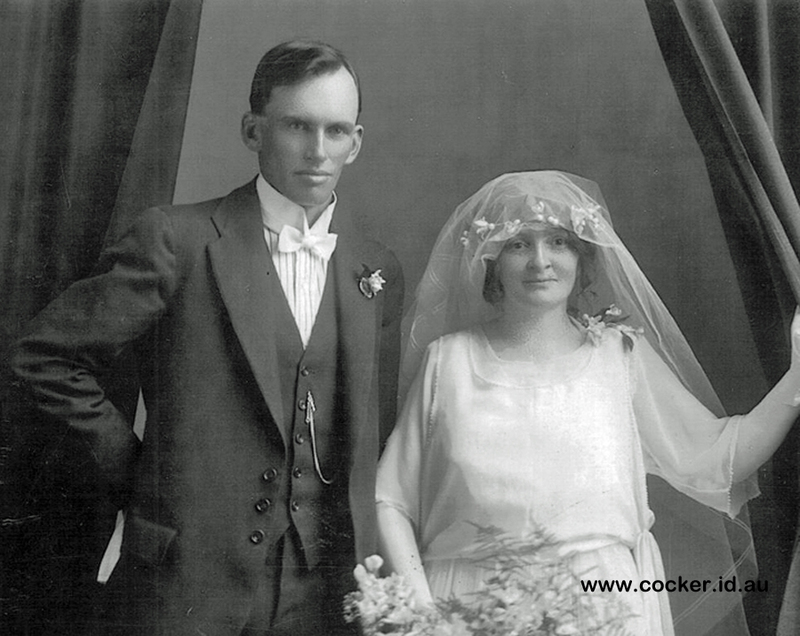 They were married on 27th December, 1921 at the Baptist Tabernacle in Launceston. They settled at Ferndale, a Soldier Settlement farm at Sisters Creek on the North-West coast of Tasmania. Claude married Edith and became an apprentice builder with his uncle. Percy had become interested in religion and was an active lay preacher with the Methodist Church. He was as deep thinker and an avid reader on social and religious issues, Dr. Leslie Weatherhead and William Barclay being favourite authors. Percy's daughters still recall hearing him memorizing Frances Thompson's The Hound of Heaven and by contrast C. J. Dennis' The Sentimental Bloke. In May 1923 their first daughter, Corrie, was born at Ferndale. Unfortunately financial support for purchase of implements and farm development was not available and in 1925 they left the farm after the years of hard work without having made any financial progress. They moved to Launceston where they lived with Lillie's widowed mother, taking over purchase of her home at 59 Trevallyn Terrace (now Bain Terrace) where they lived with her for the rest of their married life. It was here that Mavis, in 1925, and Mary in 1932, were both born. Percy died in this home on 10th August, 1938 at the age of 43. An amusing sidelight re this property was Percy's reaction to the two large masonry domes set on concrete posts at the bottom of the front steps. These boldly proclaimed ''ATHENS VILLA" in relief lettering. Percy considered this comically pretentious for a simple weatherboard house, so he unceremoniously removed them, thereby incurring Mother's-in-law displeasure. In 1937 he was persuaded to stand for State Parliament as an Independent. Although not elected he was complimented on the cleanness and depth of his campaign and despite warning that Independents must expect to lose their deposit £15 (15 pounds) through polling insufficient votes, he comfortably polled well enough to save the £ 15. Following the election he was approached by the Labor Party with a guaranteed seat if he would join them. His response was that he could not compromise his principles by joining either party. As mentioned he was a special favourite of his mother and shortly before he died he wrote a poem (below) for Mother's Day as a tribute to her. In 1932 their "little-depression-baby" was to arrive — Percy had a special yen for a little boy but when another daughter was born at 'No. 59' he sent a telegram to his loved sister, Ella Mary, saying "Our little son has arrived and we've called her Mary Jennette". That was not to say there was any doubt about the welcome for this beautiful baby — so like her father that friends called her "little Percy" — a very special little daughter she was to him, although sadly only six and a half years when he died. "Puck" as he was endearingly called by his loving sisters, had a wonderful sense of humour to balance his more serious side and was a wonderful husband and father — most patient and gentle, yet full of strength and wise counsel, so warm and loving. How he would have enjoyed his eight grandsons and 12 great grandsons, not to mention 6 granddaughters and 9 great granddaughters. That was not to be, but there can be little doubt that the lives of all those who knew him were the richer for that knowing. The funeral of Percy Alexander Harvey took place yesterday at the Carr Villa Cemetery. Among those present were members of the Launceston sub-branch of the R.S.S.A.I.L.A. of Australia. The Rev. Bernard conducted services at the house and graveside. Alderman E. E. Von Bibra read the R.S.L. service. Pallbearers were former members of the Third Light Horse A.I.F. and were Messrs. T. Drake, C. Johnstone, W. Homan, and R. Reeman. Carriers were nephews and were Messrs. Alvin Arnold, Andrew and Eric Austin, who were also chief mourners, with Mr. Priest of Devonport (brother-in-law). Representatives present included those from the Launceston Baptist Tennis Club and Church, the Ravenswood branch of C.W.A. in Tasmania, St. Andrew's Lodge, No. 6 T.C. Manager and staff of the United Insurance Co., The Electrical and Radio Federation of Tasmania, Launceston TocH. and the Tabernacle Women's Auxiliary. 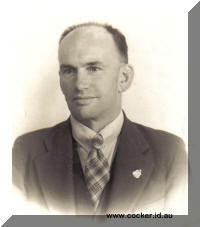 Mr. Harvey who died at his residence, Trevallyn, on Wednesday, after a short illness leaves a wife and three daughters. On one occasion he stood for parliament in Douglas Social Credit interests. The funeral arrangements were carried out by C. T. Finney. In union that is sublime. To teach us other loads to share. With faith in Thee, her constant staff. Gaining strength from Thee above. She gave me sweet communications. Trying, my footsteps to direct. The truest friend I've ever had. By actions that will make her glad. I see the Mother-heart of God.